Are you looking for a ten-day, four star hotel based, exploration of the art and history of Tuscany? Would you enjoy a small group of like-minded travelers who share a passion for the intriguing history of the world’s art center? Do you have a passion, a curiosity or an interest in learning more about the Florentine Renaissance, its famous artists, writers, sculptors and musicians? JOIN US on our annual exploration of what once was the creative center of western European culture. Click on the photo below to download and view our narrated PowerPoint introduction for this tour. Those of you fortunate enough to be in Italy this coming weekend, 24 and 25 September, can take advantage of extended museum hours and reduced museum entrance fees as part of the annual celebration of European Heritage. The Florence Tourist Information Office has published a complete list of the museums and sites favorably affected by these special days. See below for a link to the document. If you are at all interested in saving and seeing while in Florence, this is the weekend to do so! The link below is the official announcement, in Italian, for the special pricing and hours. The listing is in English and you can find information about hours and pricing. . ENJOY bella Firenze on two very important and special days. 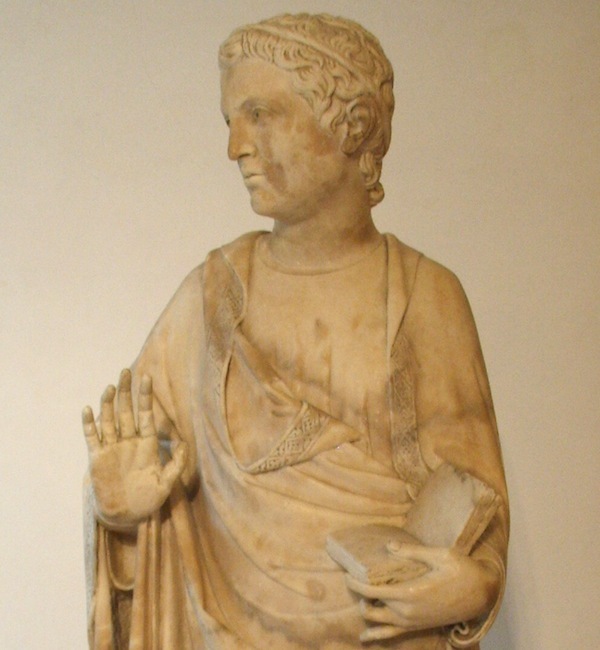 A recent incident with priceless art in Florence has me considering the easy access the world has to Florentine art. 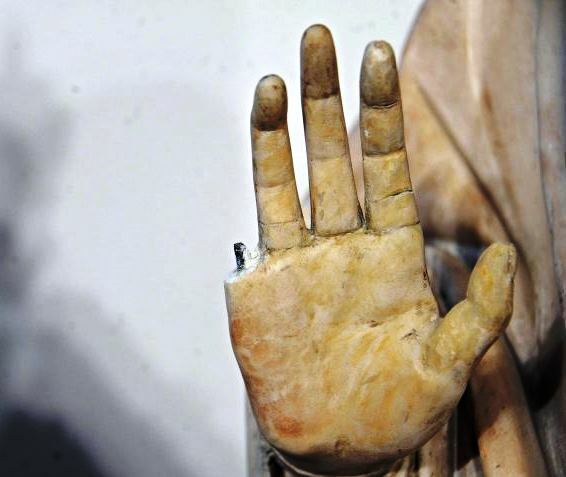 While comparing his own hand to that of a 15th Century work by the Renaissance sculptor Giovanni d’Ambrogio, a visiting American surgeon broke one of the fingers off Ambrogio’s statue of the Virgin Mary. Tempers flared, threats made, waters calmed and the surgeon is, by this writing, on his way home or already home. What I have always shared with clients as we travel across Italy is that all of Italy is an open air museum. The temptation to touch a work of art is so strong, and the accessibility of those art works so open in museums, that such temptation proves too much for some. In the Museum of the Works of the Duomo, only steps from where this American surgeon created such a stir, is Michelangelo’s Nicodemus Pieta, one of the last of the master’s works. You can walk right up and, if you were so inclined, reach over a short railing and touch the master’s work. This is not the first such incident with Florence’s art. In August of 2005, a young Italian man under the substantial influence of alcohol accepted a bet from friends to climb the Fountain of Neptune (Amananti, 16th Century, called “biancone“) in the Piazza della Signoria. As he reached to pull himself up using Neptune’s left hand it came off. Video surveillance captured the incident and eventually the damage was paid for by the guilty party. I feel badly for the surgeon that made this error, and at the same time am embarrassed about the incident. Yes, there are many more important events occurring in our world these days. However, the attention that this incident has garnered underscores the commitment a civilized society places on its art. Bottom line? When you are in museums anywhere, no less Florence, enjoy . . . but DON’T TOUCH!